At KC Video Games, we’re proud of the wide variety of arcade games we can offer our customers to buy or rent, but don’t think that’s all we do. We are also your local source for a variety of arcade game parts, products and services. From hard-to-find parts to repairs and jukebox services in Kansas City, MO, we are your first choice for everything you need to keep your favorite entertainment games up and running. Arcade game sales/rentals: Whether you want to purchase an arcade game for keeps or just want to rent it for a one-night event, we’re happy to serve you. 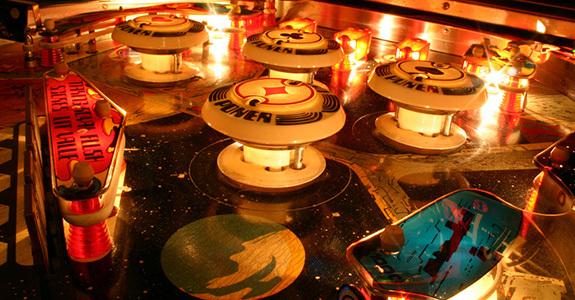 With a wide variety of arcade games, jukeboxes, pinball machines and more for purchase or rent, we are guaranteed to have the perfect solution for all of your entertainment needs. Parts and products: Finding the right part or product for your arcade games can be difficult. At KC Video Games, we keep a wide variety of parts and products to service just about any coin-operated machine. Never go searching for that right part again. Repairs: At KC Video Games, we believe that the fun should never have to stop. That’s why our fast, friendly and knowledgeable staff provides expert game repair services seven days a week and evenings too. If you’re looking for game repairs or jukebox services in Kansas City, MO, we’re there for you whenever you need us. At KC Video Games, we love what we do. 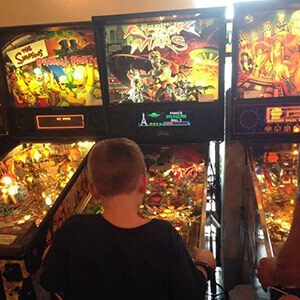 From arcade game rentals to pool table services in Kansas City, MO, we are your local source for unique entertainment solutions. For the widest selection of arcade games and services and fun that never ends, visit us today!